The trailer looks incredible both in terms of detail and the attention to delivering an experience that immerses you in the Star Wars universe. Of course, since Star Wars: The Force Awakens releases a month after Battlefront’s release, DICE is also being given special content related to it. The Battle of Jakku, the key battle with Imperial holdouts that takes place in the immediate aftermath of “Return of the Jedi,” will be added to Battlefront as free DLC. In the expansion, players will see Jakku as it originally was, whereas in The Force Awakens we will see the aftermath decades later. As an added incentive to pre-order, you will get access to the Battle of Jakku a week early if you pre-order (December 1st vs. 8th). 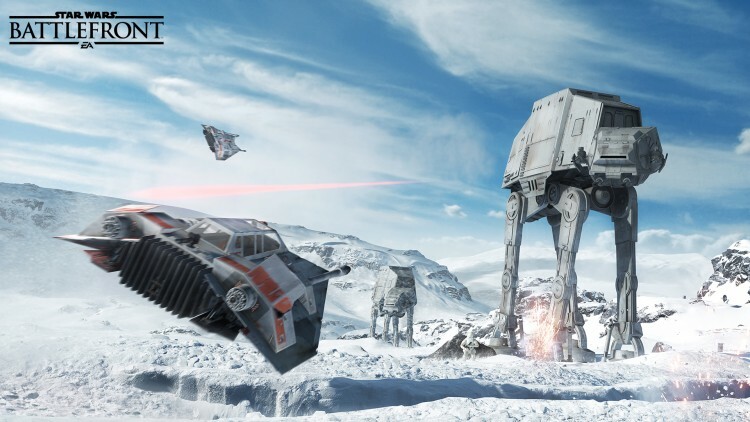 Star Wars Battlefront releases on PC, Xbox One, and PlayStation 4 on November 17. Star Wars™ Battlefront™ goes on sale November 17th on PS4, PC and Xbox One.